The Menu of an e-learning course lists all the slide titles. 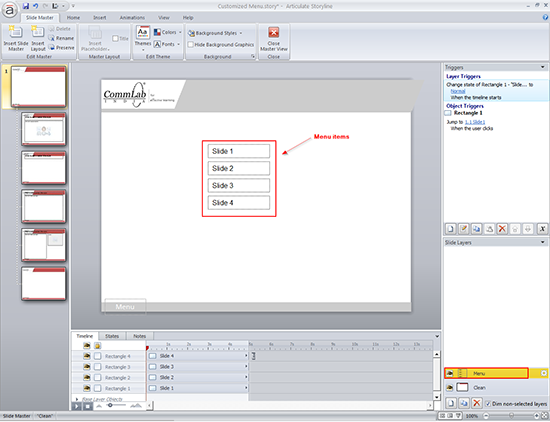 Course Menu in e-learning courses is one of the in-built features of Articulate Storyline. It can be customized depending on the learning need. Here I am going to share one need faced by our client. 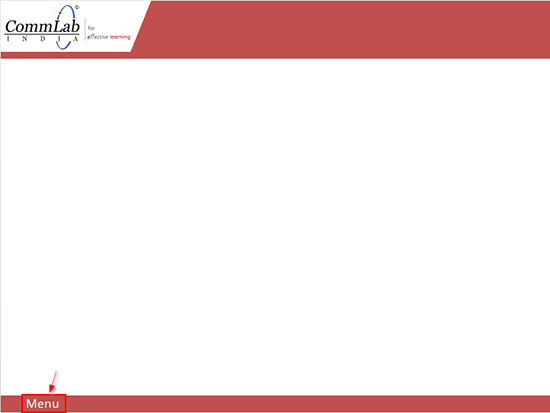 Our client wanted to show learners their course progress through the Menu. The Menu items were to be highlighted as the learners compete the slides (screenshot shown below). First, create the slides based on your requirement. Go to the Slide Master, create a layer on the first slide, name it Menu and place the Menu items on it. 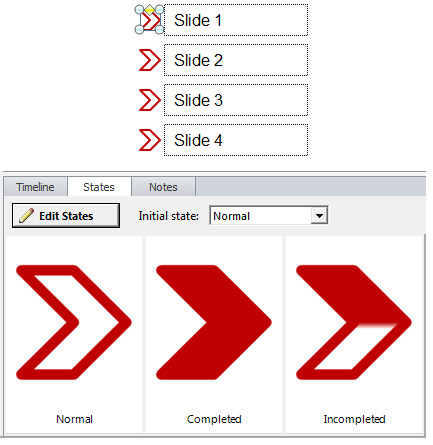 Insert an arrow shape beside each Menu item and create three states for the arrow, that is, Normal, Complete, and Incomplete. Create 2 variables for each slide with names identical to the slide names, as it is very easy to identify the appropriate ones. 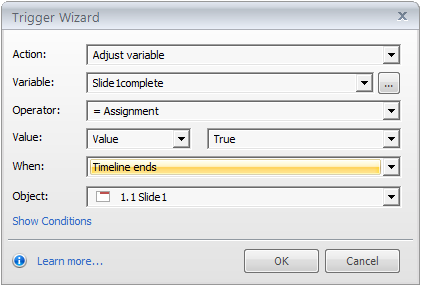 Now, adjust the Slide1incomplete variable to the value True on slide 1, when the Timeline starts. 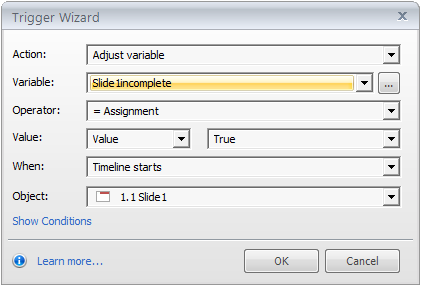 Adjust the Slide1complete variable to the value True on slide 1, when the Timeline ends. 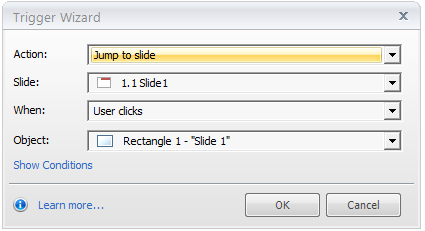 Now, go to the Slide Master and create three triggers for each Menu item. 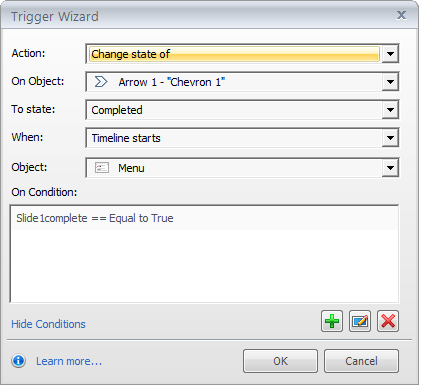 Trigger 1: Change the state of each arrow to Completed when the timeline starts, if the value of the variable (Slide1complete) on this slide is True. 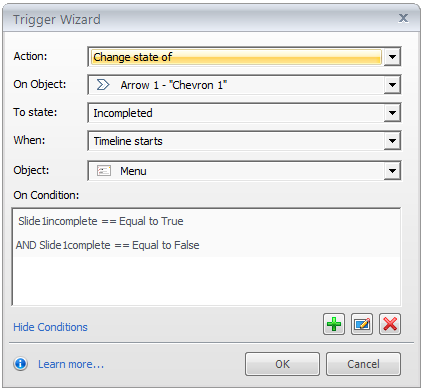 Trigger 2: Change the state of each arrow to Incomplete when the timeline starts, if the value of the variable (Slide1incomplete) on this slide is True and the value of the variable (Slide1complete) on this slide is False. Trigger 3: Click each Menu item to jump to the respective slide. The last step is to publish your course and check the output. Using these steps you can create a customized Menu to display the course status in your e-learning course using Articulate Storyline. Know other ways of accomplishing this? Please do share your valuable thoughts.